Construction is an industry that encompasses every element involved in building or infrastructure. A smooth collaboration of engineering, design and management is necessary for any successful large scale construction. Another vital factor is the quality of raw materials used during the construction of any structure. To build a sturdy and reliable structure, it is essential to use only the best of raw materials. In accordance with these sensitive and crucial requirements, MAME is dedicated to providing clients who require construction material with the best product possible, in keeping with the highest levels of Quality Control and maintenance of impeccable standards. Extra attention to purity and reliability has been given to the products in the construction category, with a clear understanding of the applications. Carbohydrates of low-molecular weight, dextrins are obtained by the hydrolysis of glycogen or starch. Essentially dextrins are long chains of D-glucose units bridged by glycosidic bonds. Dextrins are available in multiple forms, as white, yellow or brown powders that are vary in their degree of solubility. Most dextrins yield optically active solutions of low viscosity. White and yellow dextrins manufactured from starch with little to no acid are termed as ‘British Gum’. 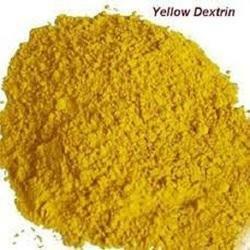 Yellow dextrins find application as water-soluble glues and additives in sand casting used in the construction industry. Construction industry – castings and glues. A combination of saccharides (simple carbohydrates), liquid glucose is manufactured from different sources via a strict cycle of vacuum evaporation and refining process. 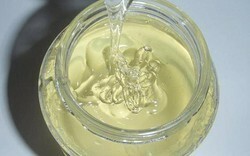 The resulting solution can vary in transparency, from transparent and colourless to semi-viscous aqueous yellow. Liquid glucose is versatile in its cooking applications imparting form, body, consistency and resistance against discolouration to food products. Most hard candies are made of liquid glucose, along with chewing gums, mouth fresheners, biscuits, cakes and pies. Another important use of liquid glucose is binding in construction and building. Food industry – hardening agents, crystallising agents, sweeteners, discolouration resistance, moisture resistance agents. Pharmaceutical industry – cough syrups, immune boosters, soothing agents, granulating agents, tablet coating agents. Biological research – microbiological substrates. Occurring naturally in rocks as calcite and aragonite minerals and in shells of mollusc sea creatures such as snails and pearls, Calcium carbonate is abundantly found in the environment and nature. This compound has multiple applications, from acting as Calcium supplement to being used as agricultural lime. Construction also employs this material as building mass, post burning in a kiln. 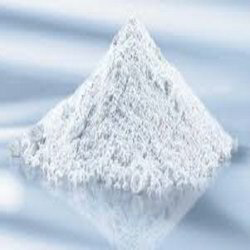 Purification of iron, sealing filter cakes and refining sugar are among other applications of Calcium carbonate. Another interesting use is as blackboard chalk. Swimming pools also use this compound to maintain alkalinity. Matt emulsion paints heavily rely on Calcium carbonate for the final matt effect. Apart from these uses, Calcium Carbonate is also applied in the cosmetic industry. Construction industry – Matt paints, building materials, adhesives, sealants, ceramics’ glazing. Food industry – refining of beet sugar. Primarily a polysaccharide, malto dextrin is most commonly used as a food additive. Widely present in soft drinks, candies and other processed food, this hygroscopic food additive is a white spray-dried powder that is either partially sweet or flavourless. Malto dextrin is extracted from starch, usually corn starch or wheat starch, using an enzymatic process. The derivative largely finds application in breweries in improving the wetness. Sacks like potato chips, jerky, peanut butter are given their texture by use of this product. Malto dextrin also acts as nutrition supplement in several food products as it can be easily digested. Apart from extensive uses in the food industry, malto dextrin is also used in the construction industry. Bentonite is an absorbent Aluminium Silicate Clay mineral formed from Volcanic Ash used in various Adhesive, Cement Ceramic Fillers. Different varieties of Bentonite exist, with different dominant elements, namely, potassium, sodium, calcium and aluminium. Bentonite is usually sourced from weathering of volcanic ash, reacting with water in its surroundings. 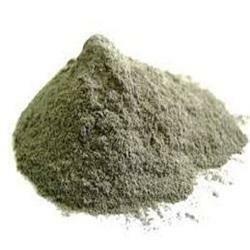 Commercially, two classes of Bentonite are popular, the sodium dominant bentonite and the calcium dominant bentonite. Major industrial uses of bentonite include drilling mud, binding, purifying and adsorption as a ground water barrier. Construction industry – drilling mud, binding. Water treatment industry – purifying, adsorbents. Modern construction uses calcite in the form of limestone and marble to produce cement and concrete. These materials are easily mixed, transported and placed in the form of a slurry that will harden into a durable construction material. Primarily consisting of carbonate, Calcite is calcium carbonate’s most stable polymorph. Other polymorphs include aragonite and vaterite. Calcite occurs in several forms besides the regular structure, as fibrous, granular, lamellar or compact forms. Today, Calcite is used in construction, soil remediation, soil stabilization and concrete repair.